"A good option for those looking for recent construction in the Gold Coast. The Ten Club located on top of the building houses a great fitness center, pool and club room for exclusive use of the residents." 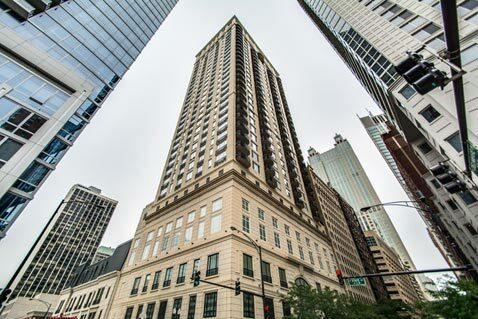 Designed by world-famous architect Lucien Lagrange, 10 East Delaware combines classic architecture with luxuriously appointed interiors and first-class amenities and services in one of Chicago's most desirable neighborhoods - the Gold Coast. The top floor of 10 E Delaware is home to The Ten Club, a residents-only facility featuring a rooftop swimming pool, beautiful sundeck and gardens with skyline views, state-of-the-art fitness center, and a private club room for entertaining. The units at 10 East Delaware are appointed with luxurioius finishes including rich hardwood floors throughout, exquisite cabinetry, granite countertops, Sub-Zero refrigerators, generous walk-in closets and marble baths. Pets are allowed and deeded parking is available.